On December 19th VKernel released version 4.5 of its vOps management software. vOps 4.5 addresses the increasing volume of routine virtual machine management tasks in virtualized environments. This increase is caused by the enormous growth in the number of virtual machines. Nowadays we provision many more virtual servers than we ever had physical ones because they are easier and cheaper to deploy. All of these virtual machines require management tasks for maintenance. vOPS 4.5 also adds the ability to more finely control some automation processes. For example, virtual machines can be grouped, and then these groups set with minimum and maximum resource amounts that automated right-sizing will respect. Auto-set VM metric trend alarms that generate warnings when abnormalities are detected. I installed vOps 4.5 in my home-lab environment and had it up and running in less than 15 minutes. Just download the Appliance from the VKernel website, import it into the vSphere environment, boot it and configure it using the clear manual which you can also find on the VKernel website. Simple and straightforward. 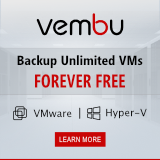 Now you can try out the handy features like the ‘Zombie VM’ deletion. This enables you to automatically remove VMDK files deemed waste by the software. By default, vOps marks a VMDK as waste if it has no connection to anything in vCenter and has been sitting in storage for more than 90 days. You can also customize these criteria. Other new automation features introduced with 4.5 include snapshot auto-merge, and more “one-click issue remediation” similar to waste file deletion, but for memory limit sizing. Previously, vOps could address memory allocated to particular VMs, but not memory limits, another setting within vSphere which restricts the amount of allocated memory a VM actually uses. This release adds visibility and automated remediation for memory limits to existing support for memory allocations. vCPU sizing is also supported with this release, in addition to physical CPU resource sizing. Also new with this release: a new way of doing reports designed to shave down the amount of time admins spend on this task. Now, an extended custom URL generation process allows admins to send management a link that shows a real-time view of the environment, rather than repeatedly generating and sending reports. Finally, vOps 4.5 also includes the ability to forecast how much hardware will be needed to support an environment based on the current growth rate; common trend alarm warnings delivered by default; application type tags and resource sizing configuration groups; plus vSphere 5 and raw device mapping (RDM) support. All-in-all a simple, handy and easy to install tool which gives you a quick but thorough view of your virtual environment, monitors health, identifies problems, offers fixes and forecasts growth. If you want to try the new vOps 4.5, go to the VKernel website. VMware View with software Teradici PCoIP on the horizon?